Seattle Parks and Recreation (SPR) has rescheduled the meeting for the 48th Ave SW and SW Charlestown St. Landbank site, which was originally canceled due to snow, to Sunday, February 24, 2019 from 10 a.m. to 2 p.m. at the Senior Center of West Seattle. This Open House is an opportunity for the community to learn about the new park project at 48th Ave. SW and SW Charlestown St., meet the design team from Cascade Collaborative and provide input on the design of this new neighborhood park. 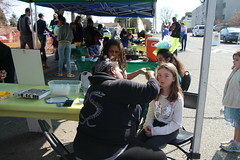 SPR will work with the community on the park design and encourages community participation. Please join us on Sunday, February 24 at the Senior Center of West Seattle, 4217 SW Oregon St.; participate in this short survey (https://www.surveymonkey.com/r/D7T5HPM) and post design ideas on your social media with the hashtag #48thandCharlestown. 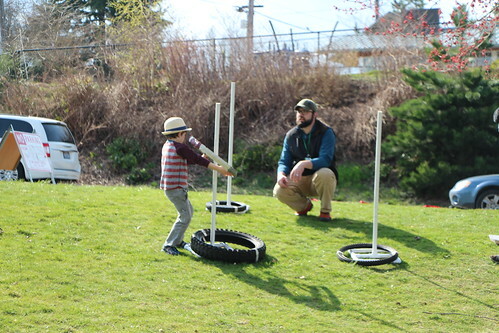 Seattle Parks and Recreation needs your input on prioritizing future Olmsted Park and Boulevard restoration projects. Based on your input, future projects could provide restoration in several different Olmsted parks/boulevards around the city. A study conducted in 2018 looked at 10 different sites to assess existing conditions, research historical design intent, and determine restoration feasibility. Please participate in this survey and help us prioritize the restoration of these historically significant assets. Certain restoration projects will begin in 2019 and will be prioritized based upon community feedback and allocated funding. Seattle’s Olmsted Parks and Boulevards began as a dream the City of Seattle had in the late 1800’s for a beautiful system of landscapes among urban growth. This vision was implemented in the form of parks throughout the city designed by the Olmsted Brothers landscape architecture firm. The basis of design for these parks was to allow access to attractive open spaces to provide peace and respite for people from all walks of life. For additional questions please contact Karimah Edwards, Sr. Project Planner at karimah.edwards@seattle.gov or 206-233-0063. Attend a Feb. 23 open house at the Discovery Park Environmental Learning Center in Seattle to learn about summertime construction work on water supply systems planned in the park by the King County Wastewater Treatment Division. If there is inclement weather, the event will be rescheduled for Saturday, March 2. Work this summer by the King County Wastewater Treatment Division (WTD) to modify an underground water reservoir in Seattle’s Discovery Park will require partial closures to portions of two hiking trails. An open house on Feb. 23 at the Discovery Park Environmental Learning Center in Seattle will provide details of the work, which will take three to five months to complete and require partial closures along the Loop and Capehart trails. The open house runs from 10 a.m. to noon at the learning center, 3801 Discovery Park Blvd. King County is protecting public health with upgrades to the underground water-storage facility by providing safe and efficient access for annual inspections, and by meeting current standards for protecting water sources. Construction will involve demolishing concrete access hatches to the existing reservoirs, installing new interior pipes, and building a new roof and access hatch to protect the entryway from rain and debris. An outfall pipe will be installed in an excavated trench, which is then backfilled and replanted. The water system carries both potable (drinkable) and non-potable water. Potable water is used at West Point Treatment Plant, in water fountains throughout Discovery Park, and at the West Point Lighthouse. Non-potable water is used at the treatment plant for industrial processes. Contractors will install air gaps above each water tank to prevent mixing of the potable and non-potable water, and to protect equipment. Crews will also install a 460-foot-long pipe to carry excess water to a discharge site in the unlikely event of an overflow. The County recognizes that Discovery Park is a popular location for trail users, and nature and bird enthusiasts. The WTD and Seattle Parks have developed tree protection and vegetation restoration plans as a part of this project, which will require some vegetation removal. The vegetation will be replaced with a variety of plants and trees that blend with the natural environment and supports the park’s wildlife. Work on the pipe will begin after the bird nesting season ends in August to mitigate impacts on birds. For more information on this project, visit WTD’s West Point project web page. For more information on the open house or to request accommodations, contact Eunice Lee: elee@kingcounty.gov or 206-263-1614. Seattle Parks and Recreation is resurfacing the gravel pathway and installing new benches at Dr. Jose Rizal Park Dog Off-Leash Area (OLA). The OLA is located on north Beacon Hill at 1007 12th Ave. S. The construction work was delayed and will now close the OLA from March 18 to 29, 2019. The nearest OLA is located at Blue Dog Pond, 1520 26th Ave. S. For a list of other OLA’s please visit http://www.seattle.gov/parks/find/dog-off-leash-areas. 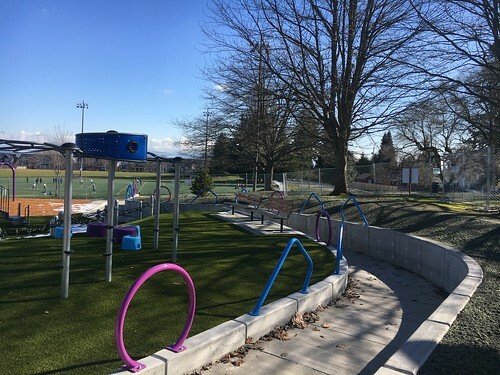 The Seattle Park District’s Maintaining Parks and Facilities funding initiative provides funding to improve OLAs throughout Seattle. This initiative provides $100,000 annually until 2020 and will improve existing off-leash areas through increased maintenance while providing updates to aging infrastructure. In 2016, we completed a capital plan for all OLAs, People, Dogs and Parks Plan. This plan provides a scope and prioritization of projects. Seattle Parks and Recreation (SPR) invites the community to provide input on the preliminary design for the Lowman Beach Park seawall project. Please join us at the upcoming public meeting on Thursday, February 28, 2019 from 6:30 to 7:30 p.m. at The Kenney, 7125 Fauntleroy Way SW.
Lowman Beach Park is a neighborhood park on the water located north of Lincoln Park at 7017 Beach Dr. SW. The Lowman Beach Park seawall is failing and needs to be removed. As visitors to the park have seen, the existing seawall is slowly falling over and sliding towards the water. It is SPR’s goal to remove the remaining seawall and continue the shoreline restoration work that began when the south half of the seawall failed in the mid-1990s. In May 2017, together with Environmental Science Associates (ESA), the design consultant for the project, we presented design options to the community. We hired ESA as the design consultant to continue the design process that began with the feasibility study. The design will take into consideration both the habitat benefits of the seawall removal and the coastal engineering ramifications of that seawall removal. Given the design constraints for the project, the existing tennis court will be removed. A remnant of Pelly Creek that currently flows under the seawall will be daylighted as part of the project. Seattle Parks and Recreation (SPR) invites the Wedgwood community to participate in the design of a new park located at 8605 35th Ave. NE. Please join SPR staff and the design consultant, Studio 41, on Monday, February 25, 2019 from 7 to 8:30 p.m. at Thornton Creek Elementary School, 7712 40th Ave. NE. This meeting is an opportunity to learn about the project and provide input that will inform the overall design for the park. A second meeting will be held on April 3 to show design options that reflect what we heard from the community. This will also be an opportunity for community members to provide additional input on park design options. After working closely with the community to identify possible new park locations, SPR purchased the .33-acre site in 2014 to provide the neighborhood access to more open space in this urban area. For questions about the project or if you need an interpreter or accommodations please contact Colin Campbell, colin.campbell@seattle.gov or 206-256-5604. Thank you to the Wedgwood Community Council for their partnership. Wyser Construction will close Gas Works Play Area on Monday, January 28 and Tuesday, January 29 to replace the decayed smoke arrestor in the middle of the play area. The smoke arrestor cap was an original piece from the Gas Works plant that was repurposed in the 1970’s original play area design. The replica cap was fabricated off site and requires a crane to assist in the installation. This is one of the final items for the play area renovation project. 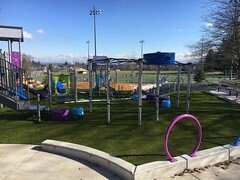 Seattle Parks and Recreation opened the renovated play area and viewing plaza at Gas Works Park on October 5, 2018. 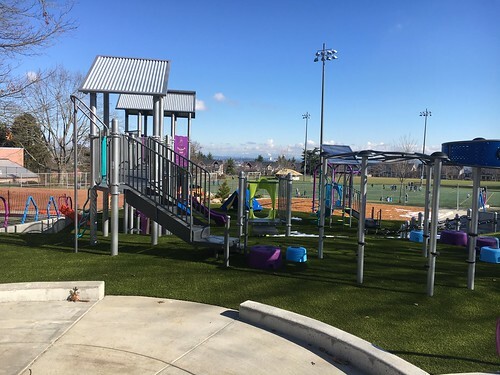 The renovation features industrially influenced new play equipment and improves accessibility at the play area. 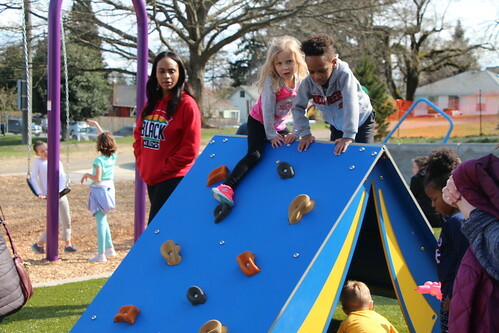 To use resources more efficiently, Seattle Parks and Recreation combined the play area renovation with necessary improvements to the play barn. Gas Works Park facilities were constructed in 1974 and opened in 1975, making them over 40 years in age and in need of repair and improvement. 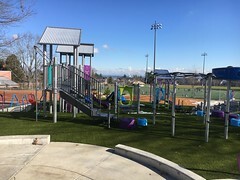 The 2008 Parks and Green Spaces Levy allocated $1.4 million for planning, design and construction for the Gas Works Park Play Area renovations. Gas Works Park, located at 2101 N Northlake Way is one of the City of Seattle’s premier city, regional, statewide and even nationally renowned parks. The park was designed by Richard Haag and was listed as a Seattle Historical Landmark in 1999. The park is also listed on the Washington State Historic Register and the National Register of Historic Places. For more information about the play area project visit http://www.seattle.gov/parks/projects/gas_works/.